The Brookmans Park Transmitting Station, situated on the A1000 road between Potters Bar and Hatfield in Hertfordshire, played a crucial part in the history of broadcasting in Great Britain. It was the first purpose-built twin transmitter station in the world capable of broadcasting two radio programmes simultaneously when it was completed in October 1929. It also played a part in the early development of television broadcasting. The building was commissioned by the newly formed (in 1926) British Broadcasting Corporation (formerly known as the British Broadcasting Co Ltd (1922) and later referred to universally as the BBC). The station was the first part of the BBC's adventurous experimental Regional Scheme, which aimed to improve and extend existing radio reception to cover the whole of Britain. In the 1920s, before the Regional Scheme was initiated, the radio broadcasting service was rudimentary. Only one programme could be transmitted at a time from a series of relatively low-powered one/two Kilowatt town-centre based transmitters around the British Isles and eleven relay stations. Good reception was restricted in most cases to a radius of three miles. There were many parts of the country where reception was poor or non-existent. An engineer at the BBC, P P Eckersley, conceived the Regional Scheme in 1924 with the aim of broadcasting a choice of programmes to listeners and to cover the whole of Britain. The London station, as Brookmans Park was referred to, was designed specifically as a twin-wave station housed in one building, and sharing between the two transmitters as much common auxiliary gear as possible. The stations in the Regional Scheme were designed to provide good reception on inexpensive receiving apparatus in a radius of eighty miles. To achieve this, much more powerful transmitters (50 Kilowatt) were required but in order to avoid swamping of receivers nearby, new, open sites were necessary to house them. This entailed the scrapping of practically all the existing transmitters since they were mostly located in city centres, such as radio 2LO on the roof of Selfridges department store in Oxford Street, London. It also required new designed-for-purpose transmitting stations. Hence the development of the Regional Scheme. 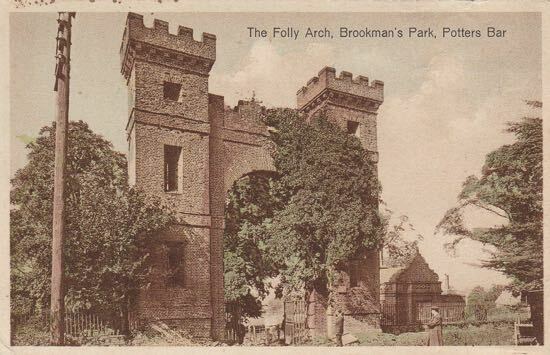 Brookmans Park was to be the first transmitter in the Regional Scheme and was to serve London and the Home Counties. There were various reasons why a site north of London was chosen. To the west, there was a problem of signals being strong enough to reach Essex and the eastern counties as well as being strong enough to overcome signals from ships at sea. To the east, much of the reception would be wasted over the North Sea. To the south, civil aviation regulations precluded the erection of masts on the North Downs. A site to the north was therefore considered preferable. The site needed to be fairly high and flat, no more from fifteen miles from central London, isolated from highly populated or built-up areas, and accessible to Post Office telephone cable routes. The Brookmans Park site was Lot 5 (Field 18) of the newly broken up Brookmans Park Estate. It was a flat, grassy plain of 36 acres, 400 feet above sea level, one of the highest points in the county of Hertfordshire, and fifteen miles from Charing Cross in central London. It had only one significant problem – hard water, which could damage the valves. This drawback was overcome with the inclusion of a water softening plant at a late stage in the station's development. 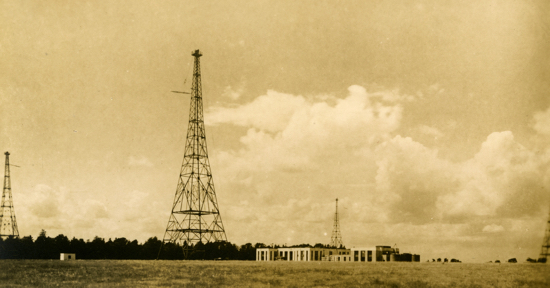 The BBC providentially took an option on an adjoining piece of land of 24 acres in size, which later housed the earthing system of the transmitters. The Brookmans Park Estate was trying to develop its land for housing, especially for commuters to London after the opening of the railway station in 1926. By the late 1920s Brookmans Park itself consisted of approximately 117 houses but business was not as brisk as the Estate would have wished – a situation that would continue until after the Second World War. The Estate must have been pleased, therefore, to dispose of such a large lot to one purchaser for the sum of £10,000. The BBC encountered few planning or building restrictions. It was fortunate that the transmitting station was completed before the Town & Country Act of 1932 came into force. The local government authority at the time, Hatfield Rural District Council, when permission was sought to site the transmitting station on the Brookmans Park site had no objection to steel masts on the site neither was the site found to be part of an exiting "Town Planning Scheme". The only Council restriction appears to have been that the building be sited sixty feet back from the centre of the road. Local enquiries suggest that the prospect of a new source of rates was welcomed. This was later realised, as before the Second World War, the BBC was one of Hatfield's highest ratepayers. An interview with an eyewitness to the construction of the station remembers no local opposition from the few residents of Brookmans Park at the time. He described the arrival of the Transmitting Station as "a five minute wonder". When the BBC bought the land they insisted on a covenant being imposed on all lots sold by the Brookmans Park Estate. This stated that the estate should not allow "the use of any machinery plant or apparatus involving the employment of high frequency or high voltage electricity or any process of manufacture calculated to cause interference with the normal working of the purchasers Broadcasting Station and works connected therewith". In 1936 a solicitor inquired of the BBC whether this included a retail wireless business or hairdressers. The answer was "no" but, if it had been "yes", the development of Brookmans Park village and its shops may have been severely restricted. This covenant may have saved Brookmans Park village for domestic development, rather than industrial. Although it comes under Green Belt planning restrictions today, these did not come into operation until 1947. It may be a coincidence but it should be noted, however, that in the 1980s, a conveyance of land previously owned by the Brookmans Park Estate included a restrictive covenant. It stated that "no trade, business or manufacture nor any noisome noisy offensive or dangerous occupation shall be carried on upon the said land". "A high-power wireless station is such a lovely thing. The process is silent, there is no gas or smell or fussy reciprocation, no sound except a purposeful humming. One is conscious of power contained and controlled. I felt that the building should be fitting to performance." Fortunately for Eckersley, the head of the BBC, Sir John (later) Lord Reith supported him. According to one author on the history of the BBC (Edward Pawley, 1972) "they [the new Regional transmitting stations] were larger than strictly necessary for technical reasons because Reith wanted them to symbolise the status of broadcasting as a part of national life". The area of the Brookmans Park station was 20,500 square feet as compared with the 725 square feet of the single transmitter site at Selfridges, which it replaced. A transmitter station is obviously primarily an engineering project. Attention to the design of the building is of limited interest therefore. The priority is the space to house the machinery. It appears that it was only due to the personality and sense of occasion of Eckersley, supported by Reith, that any consideration was given to the building's design at all. He describes how he was "disappointed by sketches of architectural designs based, as it seemed on the 'Boy's Own Building Set in Seventeen Pieces' and others too functional to be beautiful". It was more of an accident, as Eckersley described how he came across the architect for the first station of the Regional Scheme at Brookmans Park: "At last Mr Guthrie, an understanding architect, disciplined some indicative lines I drew at lunch on the back of a menu". L R Guthrie's architectural practice, Wimperis, Simpson & Guthrie, worked on the Fortnum and Mason building in Piccadilly (1926-27) and was working on the Cambridge Theatre (opened 1930), both in London, at the time that Eckersley was discussing with them the plan for the Brookmans Park Transmitting Station. The transmitting station was constructed using bricks with a facing of Portland stone to the front elevation. It consisted of offices, a tuning fork room, one large and two small battery rooms, control rooms, an engine room, a machine room, a workshop, store rooms and a boiler room. Undoubtedly, though, the main feature of the plan was the huge transmitter hall with a ceiling of reinforced concrete approximately 60 feet wide and 74 feet long. There was brass window and door furniture in the offices and oak flooring in the transmitter hall. Huge sliding windows enabled the large machinery to be installed in the building. The original building cost £50,550 and was built by the company, Anglo Scottish Construction. The cost of the whole project excluding the transmitters was £103,870, including the purchase of the land. Final estimates of the entire scheme at Brookmans Park were £130,500. When it was finished, however, even Eckersley, who was instrumental in choosing the architects wrote that the completed station at Brookmans Park "a composition of big windows framed in Portland stone and a rather pompous entrance, is good, but it fell short of our imaginings." He continued "It was certainly unconventional and I expect that is why some thought it ugly. My concentration on the aesthetic issues in an engineering scheme was a source of tolerant mirth among BBC technicians. One of the engineers called it 'art nonsense'. I felt when the station was built that the main transmitter hall at any rate justified my childish preoccupation with appearance as well as performance." The first programme from Brookmans Park, the London Regional, was transmitted on 21 October 1929 and the second simultaneous programme, the National service, on 9 March 1930, both using medium wavelengths. After the success of the London station at Brookmans Park, the regional scheme went on to its successful completion. There was controversy at the time the Regional Scheme was introduced. Previously, the city centre based single signals could be picked up on home made receivers such as from a cigar box with an earphone attached with a clothesline acting as aerial. After twin-transmitting stations opened, these rudimentary sets were obsolete as they could not differentiate between the two signals. The development and production of purpose-built domestic wireless sets were given a boost and a new commercial industry spawned. The original Marconi transmitters installed in Brookmans Park continued in use until the Second World War. When France was invaded in June 1940, there was a need to increase the power of the existing European Service and to overcome jamming from Europe. Consequently, a powerful 140 kilowatt transmitter was installed at Brookmans Park in an extension to the original building, which came into service on 2 March 1941. The station was of strategic importance to the war effort. To reflect this, the building was painted in camouflage paint and the windows bricked up or had metal shutters placed over them. Soldiers were camped in the driveway to guard the station. Although the original targets are unknown unexploded bombs fell in Georges Wood Road and Moffats Lane, Brookmans Park in November 1940, missing the nearby transmitting station. There was no external power supply to the site. In 1929, when the building was completed, the transmitters in the Brookmans Park station were powered on site by diesel generators with a huge standby battery, which required its own room in the building's plan. The current then was DC but, once the station was connected to the national grid in 1939, the transmitters were powered directly from it using AC current with a standby generator in case of power failure. The first aerials were 200 feet high due to Air Ministry restrictions. Their height was raised to 500 feet later and were used as an aircraft beacon between 1946-1960. The aerials have fallen down twice. Once, in 1947, during a gale and the other, in 1957, when they were undergoing maintenance. One local negative effect of the transmitting station relates to the rapid domestic development of the village of Brookmans Park since the Second World War. The originators of the Regional Scheme sought open sites for their transmitting stations away from high-density populations so that local residents would not be swamped by the stronger signals from the more powerful transmitters. Once the Regional Scheme was completed and operational, the complaints that the BBC did receive at the time came mostly from those living close to the new transmitting stations for this very reason. In Brookmans Park, this is an issue that continues to the present day. Many residents employ a series of filters on their televisions and telephones to prevent them from picking up radio programmes. They cannot, however, prevent signals being picked up by domestic wiring, radiators and metal coal buckets! Technology might yet come to their aid, as changing telephones and televisions from analogue to digital appears to remove interference from the radio transmitter. Besides its influence on radio broadcasting, Brookmans Park station can also claim to have contributed to television broadcasting. Being able to transmit on two waves simultaneously it became possible to transmit sound and vision. On 30 March 1930, experimental television tests were made there using thirty line pictures. These constituted the first public transmission of simultaneous sound and vision in Great Britain and, probably, the world. From March 1930 to June 1932, the Baird Company originated regular, experimental programmes after the radio programmes closed down late at night. The BBC took these over in the Autumn of 1932, with reports that the pictures were picked up in Marburg, Germany on a hand-made set. The Brookmans Park Transmitting Station is a marvellous example of a building sustained, yet ravaged, by technological progress. From its beginning in the 1920s, the siting of the building was successful and remained so to the end of the twentieth century and beyond, although it has undergone many changes. The original 1929 building had to be extended in 1940 to house the ever more powerful transmitters. A few decades later, due to the miniaturisation of machinery, the transmitters only filled one part of the building leaving much of the original structure and the 1940 extension, obsolete (from a transmitting point of view). 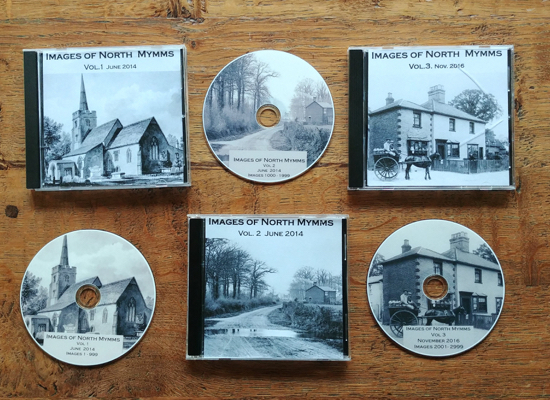 By the end of the twentieth and into the twenty-first century passers by could observe the satellite dishes and mobile telephone masts that adorn the site, nestling between and beneath the radio aerials as technology moves on yet again. The Brookmans Park Transmitting Station, aided by its location, is a monument to technological progress and how a building can adapt with it. It is also a monument to the pioneers of early British broadcasting.